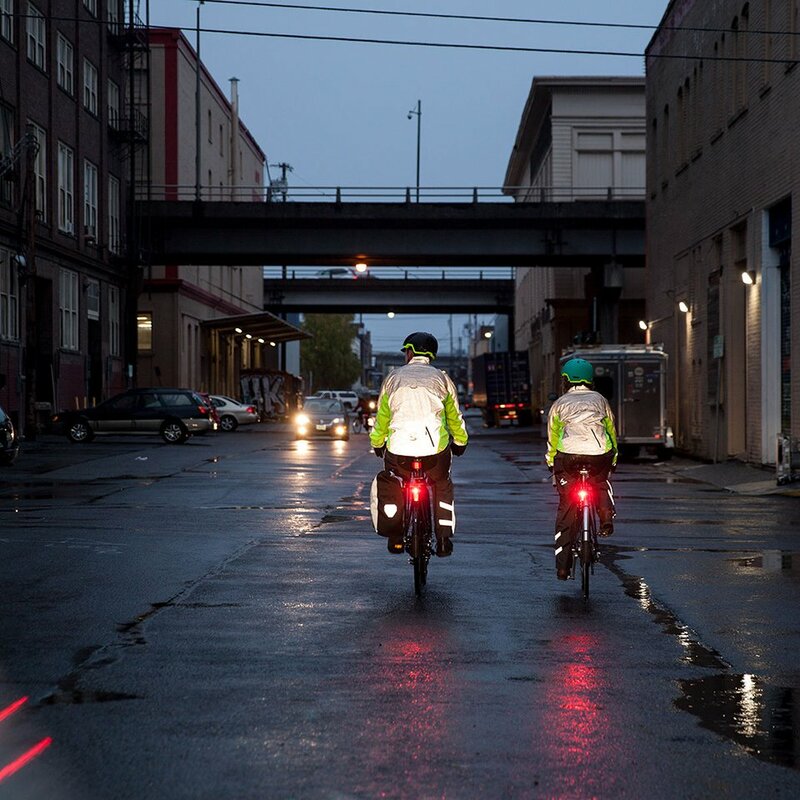 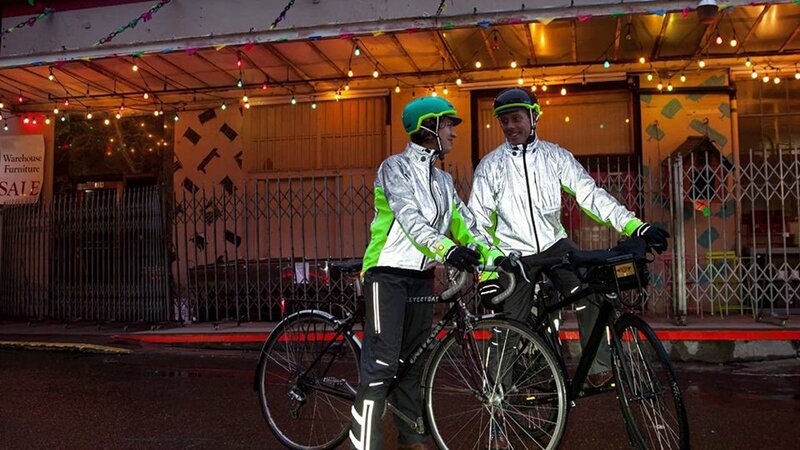 A waterproof jacket designed to keep cyclists and bikers as visible as possible. 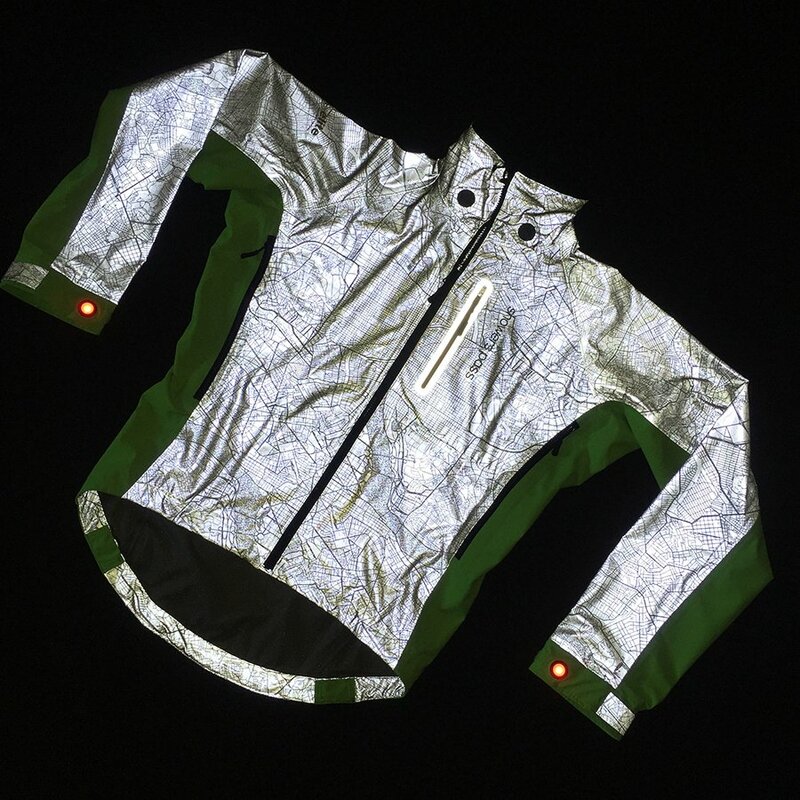 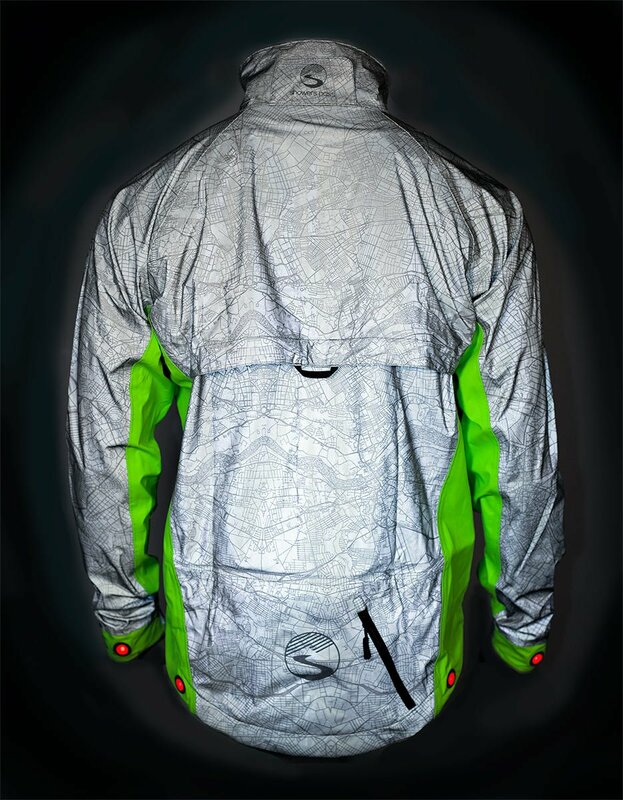 Its main body is made of reflective fabric to keep you visible at night. 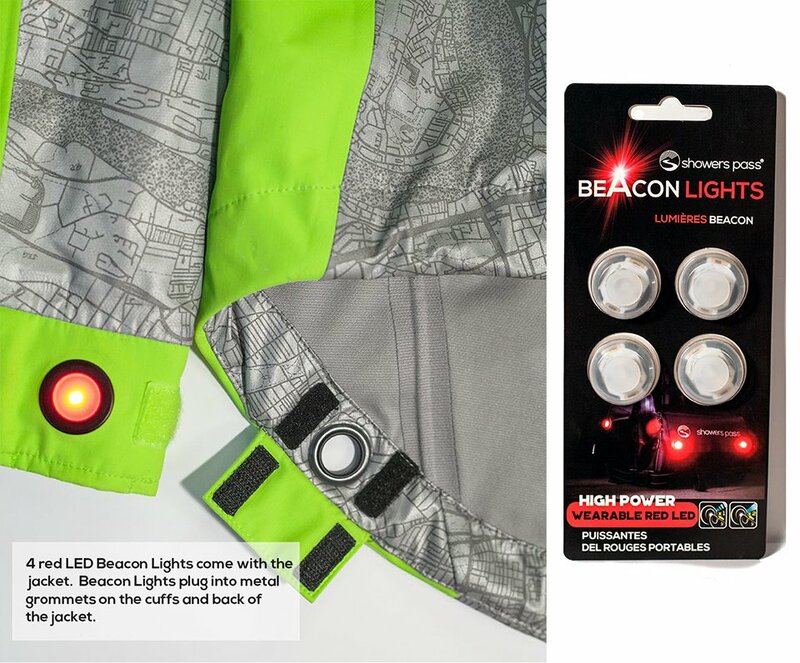 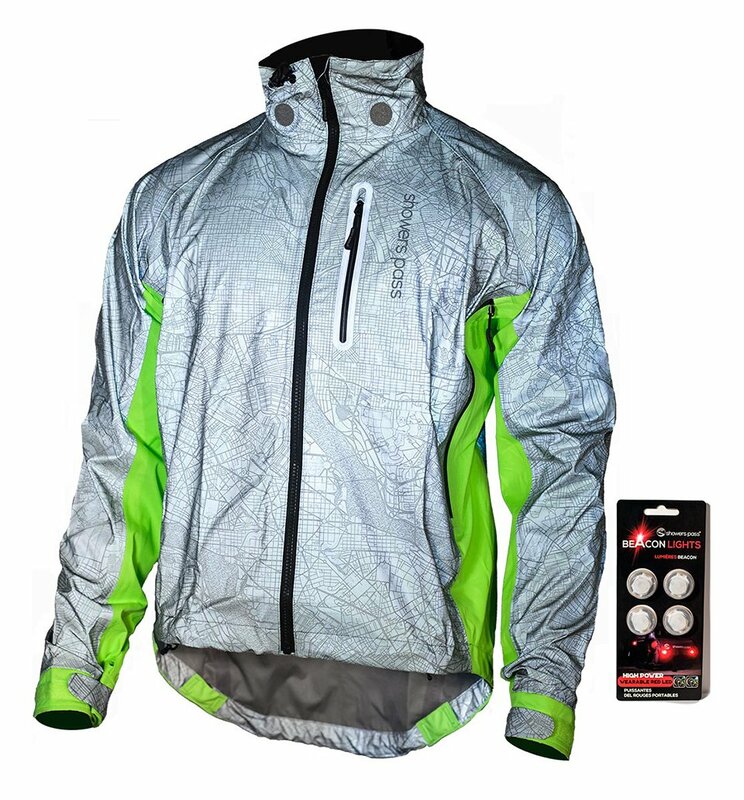 It’s even easier to see than than the Atlas Jacket thanks to its bright green fabric and large red LEDs.